Home News What’s the escape plan? 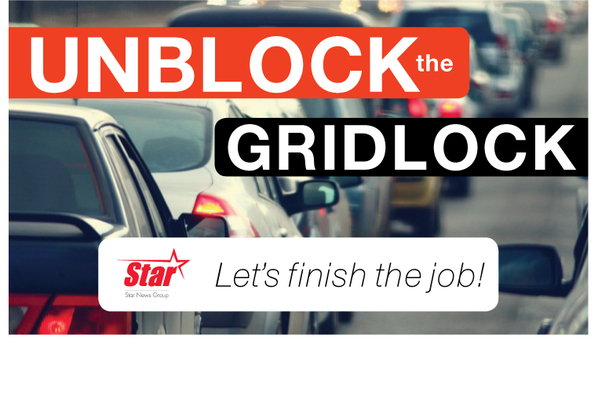 There’s no shortage of suggestions –and frustrations – among traffic-jammed readers for Star News’s Unlock the Gridlock campaign. “A new freeway towards Cranbourne,” Agron Zeneli suggests on the Dandenong Star Journal’s Facebook page. According to readers, there are notorious afternoon peak-time bottlenecks. They include parts of the Westall Road extension, and the Princes Highway outbound lanes on approach to the overpass across South Gippsland Freeway. Mark Lanyon – and Clyde Ditch Dunkley – bemoaned the South Gippsland Highway logjam between Dandenong Bypass and Pound Road. South Gippsland Freeway was a “death trap afternoon peak” , according to reader Kathy Gonzalez. Greater Dandenong councillor Matthew Kirwan noted the peak-hour congestion on Heatherton Road and Cheltenham Road – both of which lack a 10-minute-frequency bus service. He also highlighted the Webster Street level crossing and the growth area around Perry and Chapel roads, Keysborough. Cr Sean O’Reilly nominated the log-jam at the Lindsay Williams Crossing bridge that crosses the railway line at Springvale. Dandenong MP Gabrielle Williams said the Government was “getting it done” with the largest ever investment in Melbourne’s roads, such as the recent Monash Freeway widening. Stage 2 of that project was underway. In Dandenong South, the Government’s projects would make a dramatic difference for 45,000 motorists each day. Abbotts Road level crossing’s removal was “well under way”. The most recent State budget allocated funding for a rail-overpass conncection at Remington Drive and Pound Road West, Ms Williams said. Ms Williams had also “escalated discussions within government” for a safe pedestrian crossing at Stud Road, near Dandenong Basketball Stadium. South-East Metropolitan Liberal MP Inga Peulich said if elected in Government, the Coalition would invest up to $5.3 billion to remove 55 dangerous, congested intersections across Melbourne. The Opposition would also build East West Link and North East Link in tandem – both completed by 2026 and 2027 respectively. “Only a Liberal National Government will effectively tackle traffic congestion so commuters in Melbourne’s South-east spend less time in traffic and more time with their families and loved ones.